Budget friendly plant options are ideal for gift givers and for anyone not looking to invest in plants. So, make sure your pricing is clear, and that you consider this when you create arrangements or packages for the holiday season. First, deals and discounts are always helpful. Consider offering social media promotions that exchange user-generated posts and content for seasonal discounts. Or, create a giveaway! Even small discounts are helpful during the winter when there’s so many holidays. Alternatively, arrangements create a way to create a small discount on a large group of products. Plus, this makes for easy gift giving, especially when targeting low-light conditions, or easy-care items. However, it’s important to communicate the budget-oriented value. Even create listicles on your top gift items offered in-store and online. For tags, make sure the price is bold and clear. For updating prices, use The Tag Labeling System to over-label the information currently provided. Or, ensure that there’s a secondary label which boldly states the price. As a result, there’s no difficulty in finding the information. Do you already have a label in use? Again, a secondary label is viable option for any container. Or, again, if you have inaccurate pricing, over-label it. Do you have a new discount for the holiday season? Design a label to promote the discount! So, all customers will have access to added value you provide, literally. Lastly, the more color the better. Even if the label is simple, a vibrant color will draw the eye. So, you can ensure it’s the first thing shoppers see. Learn even more about the labeling and automation solutions that Label Gator offers. So, see how you can save time, money and labor with our Product Guide. Click here to download the guide. It’s Thanksgiving and we’re celebrating by looking at labeling things in horticulture that we’re thankful for. It’s been a year influenced by many horticulture trends, and in turn, that has gone on to influence label design as well. So, consider the ways your label can improve for the new year, and the added value you can offer customers through impactful label design. Many trends have influenced people to develop a horticultural interest, and focus on their impact on the earth. Especially with pollinator plants, shoppers are more tuned into how their personal actions impact the climate more than ever. So, these trends in turn guide growers with a starting point on how to add more value to their label designs. Developing trends in horticulture are focussed on the health and wellness benefits they bring to us. Whether that’s with growing your own produce and cooking healthier meals, or it’s saving the bees. These trends bring calm and clarity to gardeners’ lives. As a result, these trends impact what growers offer to their customers. More than ever, added value on social media and on websites are part of the marketing strategy. By building a relationship with customers, they in turn increase sales. Earlier this week we talked about one Stardew Valley user’s experience with gardening which developed after playing the garden oriented game. This raised an interesting point that growers have the power to use games and apps to add value to their customers’ growing experiences. Whether the game is purely for fun (but features horticulture), or it’s an app designed to help them find success in the garden. Plus, the creation of a game itself is easily linked and promoted on appropriate labels to increase overall usage and success. So, while customers enjoy the game, they also build a bond with your brand and in turn are more likely to purchase from you. With the rise of Pantone’s calming colors for 2017 and 2018, also came a rise in the desire for calming garden spaces, indoor and out. This has increased the likelihood of home owners and apartment dwellers to both increase their horticultural skills. This has also informed growers of what shoppers are hoping to see on their labels. Calming imagery, colors, and tutorials. They want to get a sense that the plant will bring calm into their homes. So, maximize that by making it simple for those who are new gardeners. Get them rolling with easy-care plants, and especially plants that maximize indoor space. Hygge is also a trend that focusses on calm, but in more of a cozy sense. While this trend doesn’t specifically leak into the horticulture industry, it does focus on principles that gardeners are seeking. For example, like hygge, a moon garden creates a beautifully lit, cozy atmosphere where friends and family can spend time relaxing under a blanket. 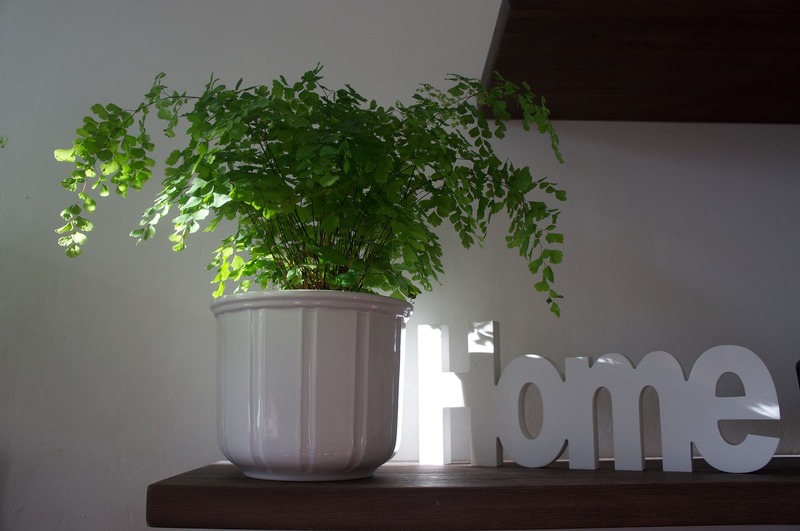 So, as we move into winter, consider the ways in which plants offer a cozy, homey feeling. Use product photography that emphasize that, especially around Valentine’s Day when plants will be a popular gift item. Also, use comforting colors, much like you would for zen gardens. Create an overall atmosphere that promote plants as nurturing. Innovative labeling techniques range from simple foiling to tactile coatings, and even holographic patterns. They enhance fonts, create lifelike graphics, but also add a luxury element to a design. As a result, techniques are extremely versatile in enhancing any branding. Regardless of how they’re used, they communicate that an immense amount of care went into creating the product. Plus, they create haptic interest and the more shoppers pick up your items, the more likely they are to make a purchase. They also focus the eye to important details, such as a plants’ value point graphics. In the same regard, link to more content using NFC (Near Field Communication), QR codes, or even simple URLs. Now content space is digitally limitless, and so are the means of engagement. From video tutorials, to blog posts, or even branded apps, provide customers with value throughout the lifecycle of the item they’ve purchased. QR codes and URLs are even free to add! So brands just need to carve out a small space to include the graphic or text. That’s a simple investment when you consider the customer payoff. Using a Label Gator labeling automation system saves time, money, and even labor. Each year H2A regulations bring uncertainty to a grower, so investing in automation allows your employees to focus on areas that matter with ease. Plus, these systems make it even easier to conform to big box store demands and provide professional, consistent application each and every time. Window gardens are broken down in this Garden Design Magazine post. It discusses how to create levels, themes, and proper plant support. So, now that gardeners are spending more time indoors, use your labeling space to help them make a window garden. Help customers set up a window garden with visual tutorials using labeling technology. Link them with NFC labels, QR codes, or even simple urls. Then, create original videos, blogs, or webpages dedicated to providing tips and tricks. Shoppers will be more likely to purchase a helpful item with added value like that, plus share it on social media. Another way to offer added value and further information on the topic is by including it in a booklet-style label. With expanded content and extra pages, inspirational images and setup graphics are far easier to offer. This also provides more space for translations, digital links, and even more space for plant care instructions. Either way, it provides an opportunity to create information solely based on indoor care during the winter months. Since it’s likely that shoppers will put those plants in windowsills, why not show them another option for creating a trendy, relaxing window space? Communicate the style and comfort benefits and you might just find that people come back for more.